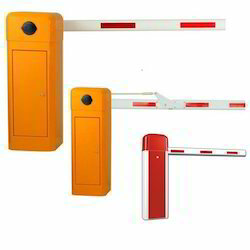 We are a leading Manufacturer of automatic boom barrier, electromechanical boom barrier, parking boom barrier, boom barrier and crash rated boom barrier from Noida, India. With the help of our skilled and qualified team members, we are manufacturing a wide range of Automatic Boom Barrier. 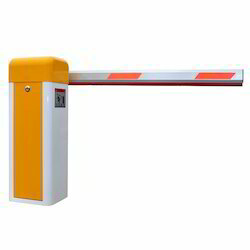 We are leading trader of Electromechanical Boom Barrier. • Modern, energy-saving barrier, cost-effective and innovative. It also incorporates close-protection safety features required for mixed traffic. The simplicity of the design fits perfectly into any location with extensive functions, Innovative motor technology with the best possible energy efficiency. In order to attain maximum client satisfaction, we are providing our clients a premium quality collection of Parking Boom Barrier. • Used to control Vehicle entering. We offer the wide range of Boom Barrier. 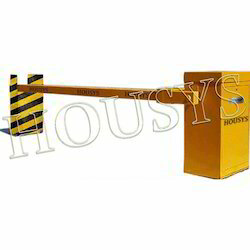 We are engaged in offering an excellent range of Crash Rated Boom Barrier. • A wide range of models to suit various applications like condominiums, hospitals, corporate, schools, colleges, various institutions etc.